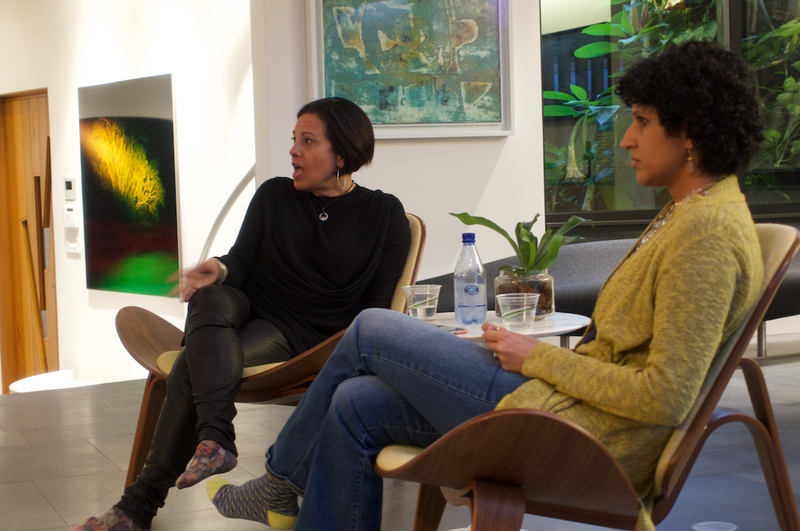 Last week we hosted Joanne Wilson, AKA “Gotham Gal,” New York City-based angel investor and startup advisor, for a fireside talk with Spero Founding Partner Shripriya Mahesh. Their conversation, the first in a series we’re going to call “Barefoot in the Living Room,” was meant for a private audience, but we asked nicely and got Wilson’s permission to share some of her comments. The #1 takeaway from Wilson that night? DON’T WAIT! It’s very apropos for Wilson, who has seemingly always been ahead of her time. She began investing in female-led businesses in 2007 — an era in which a mere 5% of angel investors were women and only 1% of venture-backed companies were led by women. (FWIW, the numbers are improving but still pretty dismal.) Wilson has provided seed capital to more than 120 startups across food, health, real estate and more, including Blue Bottle Coffee, Modsy and Sweeten. Wilson is also a community builder and podcaster. For 8 years she hosted The Women’s Entrepreneurs Festival, an annual event for female founders that attracted as many as 300 attendees. Wilson’s podcast, Positively Gotham Gal, includes interviews with 100 inventive women behind businesses such as Lumi, Parachute Home and Momofuku Milk Bar. In Wilson’s blog, almost nothing is off limits. She writes each workday, a daily habit she began many years ago. Wilson weaves in tidbits about her bi-coastal life — art and food, as well as her thoughts on men in tech who speak too loudly in airports about their misleading pitch decks, women who are building and investing in promising new companies, and social issues that weigh on her mind, such as prejudice and poverty. You never know what you’re going to get, which is a big part of the draw: When you click into Wilson’s blog, you know you’re reading an authentic diary of an accomplished, multi-faceted woman who dines and does business at some of the world’s most interesting tables. Wilson worked in digital media in the internet boom of the late 1990s. “All those people didn’t know what they were doing, but they knew the internet was going to be important,” she says. It didn’t stop them from building businesses and figuring things out in real time. Many of those businesses crashed, but many of those same people took what they learned and began building Web 2.0. At some point, said Wilson, she realized she had made a habit of “running some guy’s company and making him a lot of money” and decided to stop. She began to blog about what she learned and the trends she was seeing. Soon after she started getting emails from women who were looking for startup advice and angel funding. They told her that each time they went in to pitch a VC firm, they were the only woman in the room; none of the male VCs understood their businesses. But Wilson got it right away. Once word got out, VCs began to send dealflow to Wilson, and she became a go-to resource for female founders. Once word got out, VCs began to send dealflow to Wilson, and she became a go-to resource for female founders. Early in her angel career, Wilson popularized the “Side Letter,” a term sheet for individual investors that can provide them access to a startup’s financials and lifetime pro rata rights (the ability to continue to invest in a company to maintain your percentage ownership as it raises more capital and its valuation increases). Wilson, who is currently on her fifth career, has followed that advice herself for decades. As an early builder of the first tech boom and one of the first female investors in women-led businesses, she never waited — not to be understood, not for an invitation, not for so-called “experience,” and never, ever for permission. Spero Ventures is an early-stage venture capital firm driven to deliver value to shareholders and society. News, podcasts, and insights from Spero Ventures.